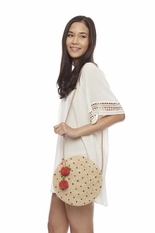 Stow all your essentials with ease in this spacious polka dot clutch you can wear as a shoulder bag or a crossbody. 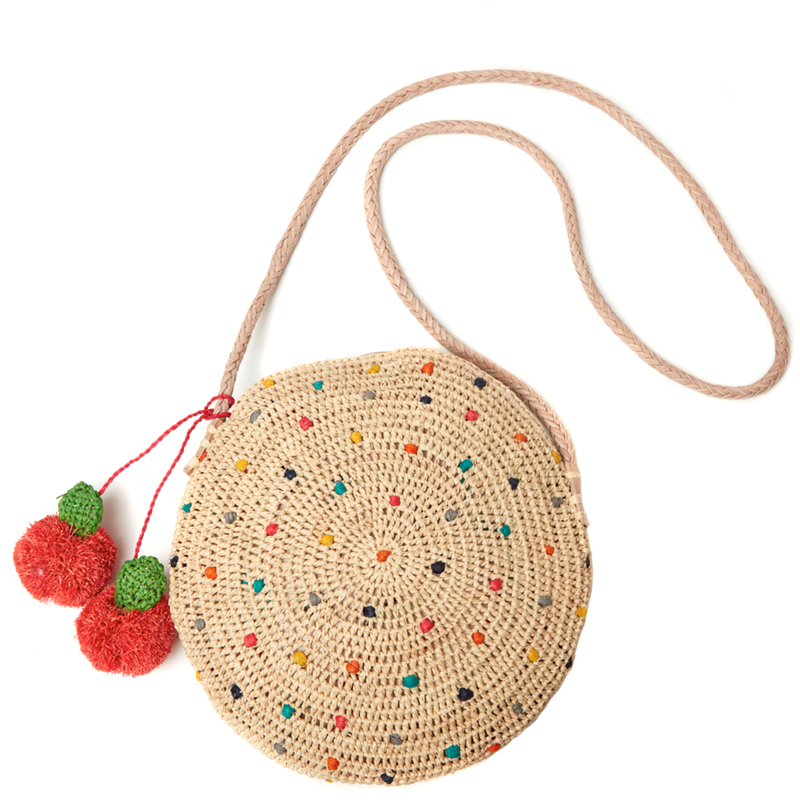 It's a staff favorite for a go-to summer bag. 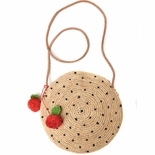 Crocheted raffia with raffia embroidery,pom poms, cotton lining, inside pocket and leather strap. 9.5"h x 10"w x 1"d with a 21" strap drop - Approximate dimensions, each piece is handmade.